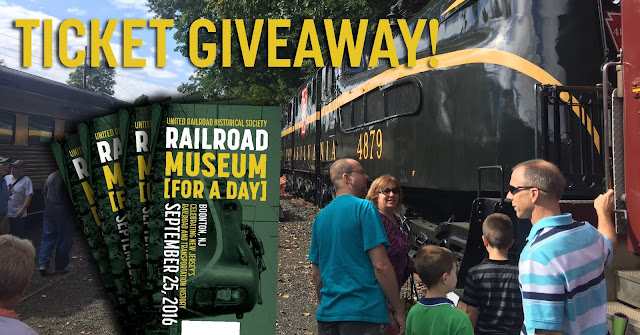 Railroad Museum [For A Day] Ticket Giveaway! September 25, 2016 ~ The History Girl! Thanks to United Railroad Historical Society of NJ, The History Girl is offering four family four-packs of tickets to Railroad Museum [for a day], a special event hosted by the United Railroad Historical Society of NJ, owners of the largest and most historic railroad collection in New Jersey. The event takes place Sunday, September 25, 2016. In order to be in the running, submit your name and e-mail address below! *By entering your e-mail address, you may receive periodic e-mails from The History Girl and the United Railroad Historical Society of NJ. Rest assured, your information is never sold or used by a third party or anyone else other than those listed above. Railroad Museum [for a day] is a special event hosted by the United Railroad Historical Society of NJ, owners of the largest and most historic railroad collection in New Jersey. During the once-a-year event on Sunday, September 25, 2016, the URHS Restoration Facility in Boonton, NJ will become New Jersey's largest railroad museum. 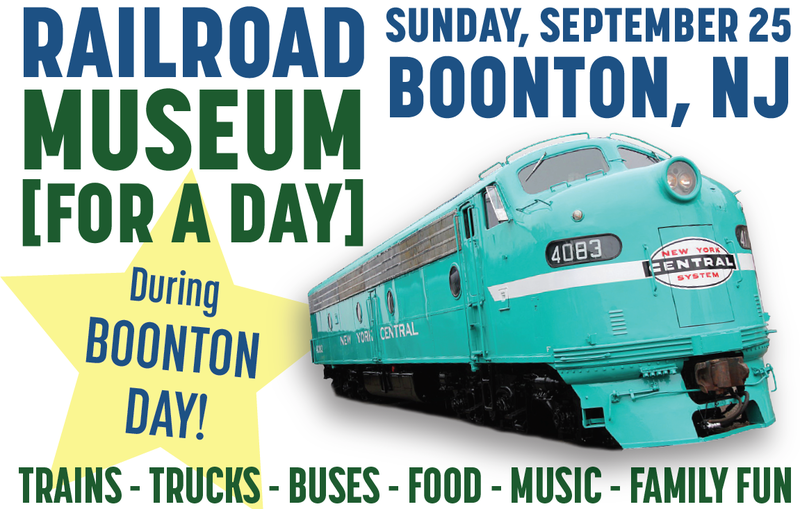 Museum [for a day] provides a rare, family-friendly opportunity to admire, explore, and go inside these historic trains and learn about their connection to the region we live in. In addition to the URHS collection, vintage cars, trucks, and buses will be visiting to display for visitors to learn about. Guided tours, live music, food, and souvenir sales will round out a day of family fun that the entire family can enjoy. Admission at the door is only $5 for adults and $3 for children. All proceeds from this event go towards maintaining the URHS's Boonton-based collection of historic railroad equipment. For more information, visit www.museumforaday.com. *One entry per person. *Valid for all residents of the 50 United States of America, 13 years of age or older. *Entries without a valid e-mail address are not eligible. *Contest begins Sunday, September 18, 2016 at 10:00 am EST and ends Thursday, September 22, 2016 at 10:00 pm EST. *The winners will be chosen at random. *The winners will be notified via e-mail on Thursday, September 22, 2016 after 10:00 pm.